Many of Tucson’s gated communities are secluded in quiet, natural settings, and are popular subdivisions with hikers, bikers, stargazers, and golfers. The Ritz-Carlton Dove Mountain have created exclusive private gated communities with the finest in Southwestern hospitality and amenities. 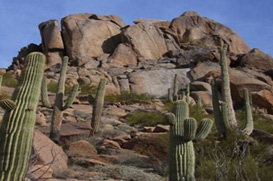 Most of our exclusive gated communities are nestled in our scenic foothills area North, Northwest and west of Tucson.